When you find yourself knee-deep in debt, you will have to find a way in which you can become debt free. There are infact various ways in which you can become free of your financial obligations like credit card debt consolidation, debt settlement, self-repayment plan or debt management. However, if all of these fail, you will have to opt for the last resort that may be able to swipe out all of your debt problems. This is filing a bankruptcy. As a commoner, you can file bankruptcy either under chapter 7 or chapter 13. Chapter 13 is known as the repayment or reorganization plan. 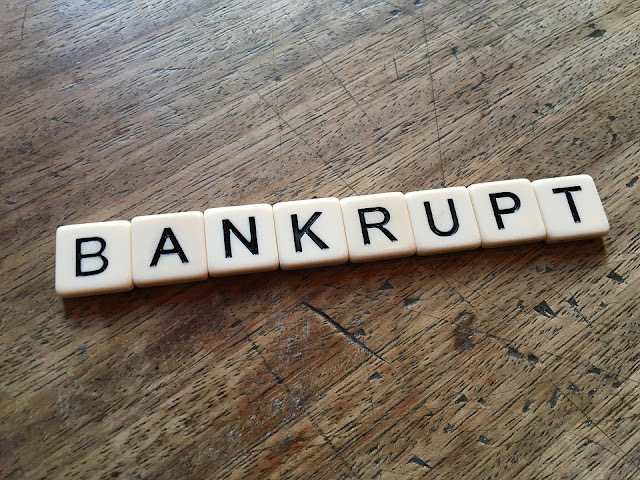 In this type of bankruptcy, you are not required to sell off your assets. When you file chapter 13 bankruptcy, a significant portion of your outstanding debt gets eliminated and you are required to make the payments on the rest amount to your creditors as per the repayment plan. The repayment plan and the amount of your debt that gets eliminated through chapter 13 bankruptcy will depend on your income and expenditures. Almost all of the income that remains after paying off all of the necessities will have to be forwarded to your creditors. However, one of greatest advantage of chapter 13 bankruptcy and any other bankruptcy is that it puts a stop to the interest rate from increasing and the debt amount from accruing. Another advantage of chapter 13 bankruptcy is that, if you are able go on making the payments as per the repayment plan throughout the life of the plan, the remaining debt gets discharged. However, another thing that can affect the amount that you will have to pay is the value of the assets that you own like your real estate (if any). You may have to pay the amount which your creditors would have got if you were to file chapter 7 bankruptcy and if your real estate would have been sold off. Your tax liabilities and other payments like the insurance payments in relation to the assets that you own can also affect the amount that you will have to pay through the repayment plan. Through chapter 13 bankruptcy you may be able to pay off the debts within 36 to 60 months depending on the amount that you are able to forward to your creditors. Many people are of the opinion that chapter 13 bankruptcy is better than credit card debt consolidation as it puts a hold on the interest rate and the debt amounts from increasing.